The earrings with amethyst, freshwater pearls, and crystals are a stunning combination of deep, royal purple, gorgeous amethyst, and vibrant orchid. Sterling silver is used for longevity, ensuring that these earrings will last for years to come. Along the coast, just as the sun sets, the sky melts from light blue to a watercolor mix of midnight blue, orchid, violet, lavender, pink, and indigo. 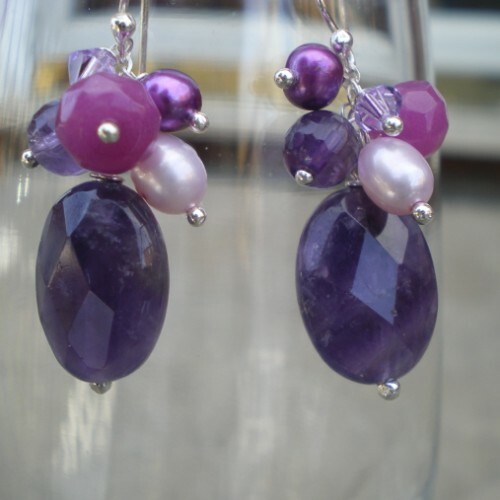 The purple tones of that sunset inspired me to create these beautiful earrings.